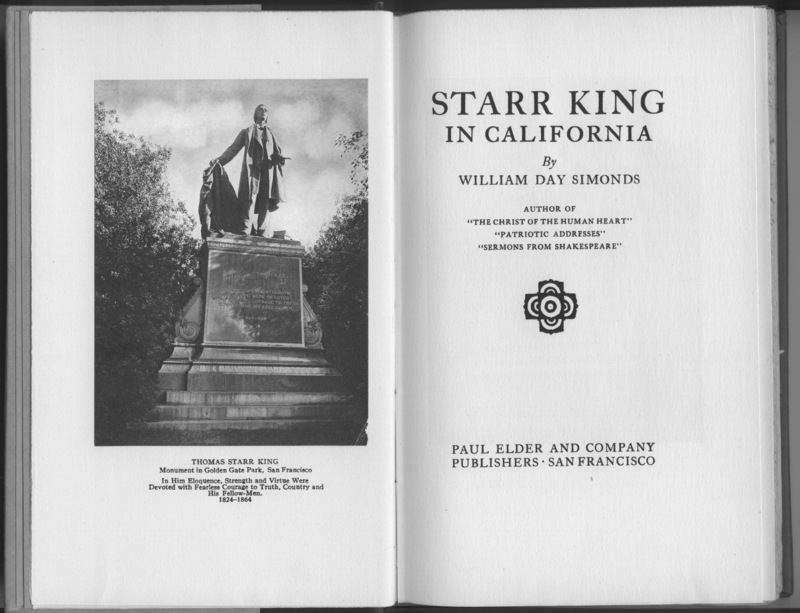 Cover of "Starr King in California"
“Starr King” was a famous name when Paul Elder published this volume in 1917. Today, one might say he was one of the most important Californians you’ve never heard of. 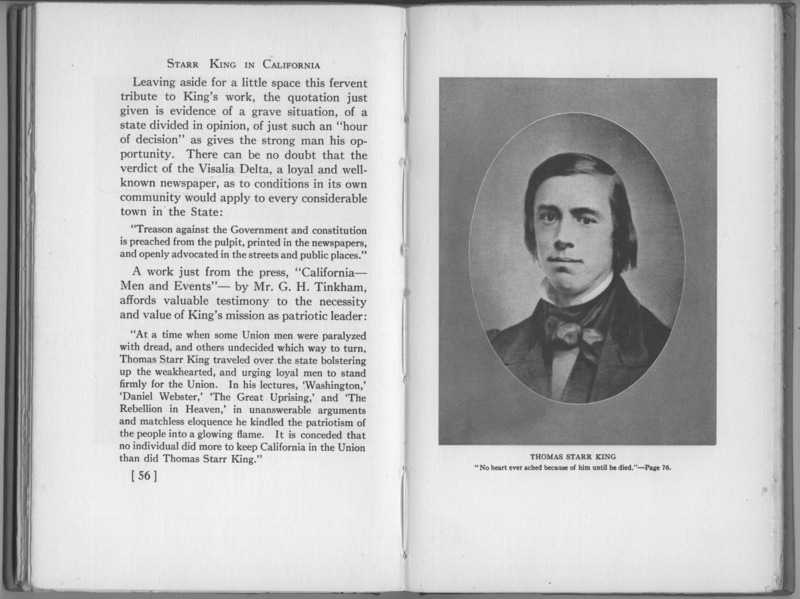 Thomas Starr King (1824-1864) was a Unitarian minister who became very influential in California politics. He was born in New York, and despite being forced to leave school to support his family, studied on his own and became a minister at the age of 20. In 1849 he became pastor of the Hollis Street Church in Boston and soon became one of the most famous ministers in the country. 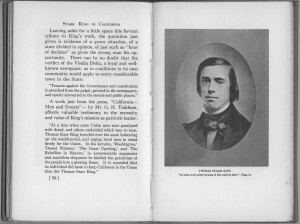 In 1860 he agreed to come to San Francisco and lead the First Unitarian Church. 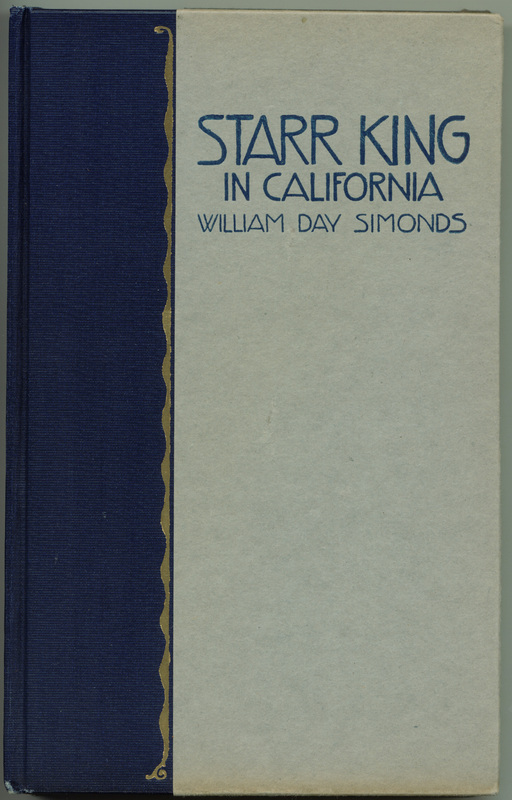 He was a passionate orator on behalf of the Union during the Civil War, and Abraham Lincoln famously credited Starr King with preventing California from becoming a separate republic. He often campaigned to raise money for the United States Sanitary Commission (a predecessor to the American Red Cross); the travel took a toll on his health and he died in 1864 of diphtheria, just 39 years old. In 1913 Starr King’s fame was such that the California legislature enshrined him as one of California’s two honorees (along with Junipero Serra) in the United States Capitol’s Statuary Hall. In 2006, however, the legislature voted to replace Starr King’s statue with one of Ronald Reagan. State Senator Dennis Hollingsworth, displaying remarkable self-irony, said “To be honest with you, I wasn’t sure who Thomas Starr King was, and I think there’s probably a lot of Californians like me.” He also pointed out that Starr King wasn’t a native Californian, somehow forgetting that Reagan was born in Illinois and Serra in Mallorca. Starr King’s statue was removed in 2009 and now resides in the gardens of the state capitol in Sacramento. Two streets in San Francisco are named after him: Starr King St., adjoining his Unitarian Church on Franklin St (the current building was built in 1889, long after his death); and King St., which borders AT&T Park, home of the San Francisco Giants baseball club. 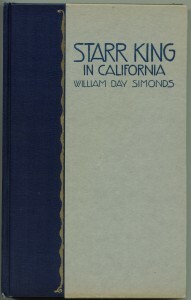 I have been unable to find much information about author and historian William Day Simonds (1855-1920).